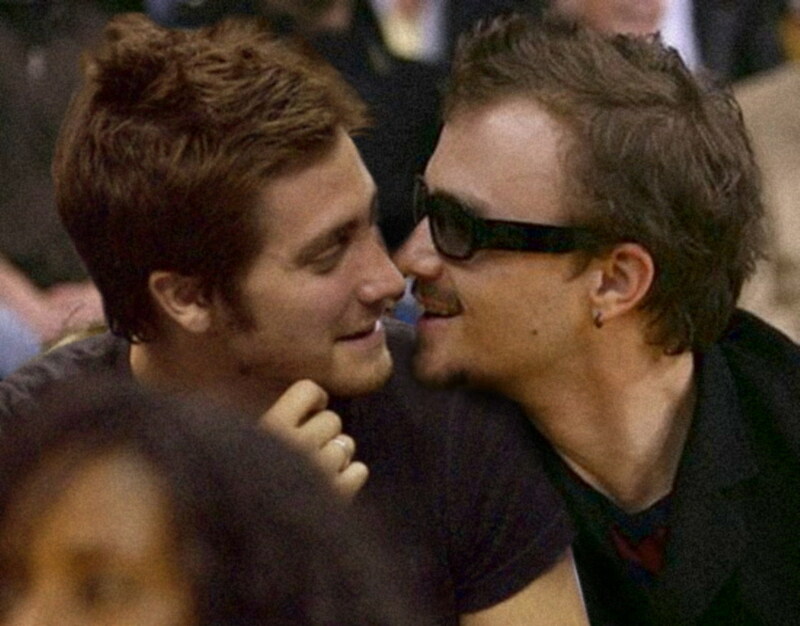 heath and jack চুম্বন. . HD Wallpaper and background images in the জ্যাক গেলেনহ্যাল club tagged: jake gyllenhaal photo candid icon jake images brokeback mountain gyllenhaal.